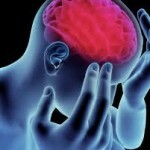 Migraine: Reoccurring headache disorder manifesting in attacks lasting 4-72 hours. 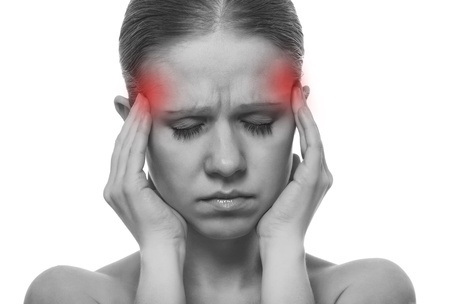 Typical characteristics of the headache are One sided location, a pulsating quality, moderate or severe intensity, aggravation by routine physical activity and association with nausea and/or light sensitivity and sound sensitivity. Several of these characteristics need to occur during a migraine for it to be classified as such. There are also two subcategories, migraine with aura which presents with visual disturbances such as bright zig zag lines, flashing lights and secondly; migraine without aura. 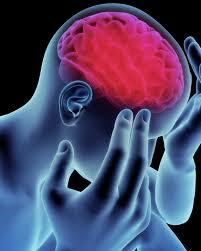 Tension Type headache: Lasting from 30 minutes to 7 days. At least two of the following four characteristics: both sides, pressing or tightening (non-pulsating) quality, mild or moderate intensity, not aggravated by routine physical activity such as walking or climbing stairs, the absence of nausea & vomiting. Cervicogenic Headache: Headaches stemming form the structures of the neck; such as the joints, ligaments, muscles, fascia, discs and tendons. Cervicogenic headache characteristics include headaches associated with neck pain, headaches improve as neck pain improves, decreased neck range of motion and headache. Migraine. A multi-modal approach is recommended, including spinal manipulative therapy; one study found 45 minute remedial massage/neuromuscular therapy, exercise, nutritional support all to be effective in managing migraine with or with out aura. 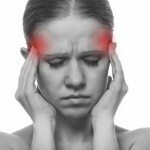 Tension Headaches: According to the evidence based guidelines for chiropractic and tension, low load neck exercises using resistance bands is helpful in treating tension type headaches. the effectiveness of spinal manipulative therapy is is inconclusive. However there has been other studies indicating spinal manipulative therapy maybe effective (*) There seems to be higher incidence of myofascial trigger points (TrPs) which are focal area’s of adhesion’s (knots) found in the muscles & fascia of the neck and shoulder which may be the cause of tension type headaches. Personally i have found by far the most effective ‘hands on’ therapy in treating TrP’s is some form of remedial massage or nueromuscular therapy; and similar to migraines a session of 45 minute if not an hour is required to adequately manage and treat Trp’s. As a qualified remedial massage therapist and chiropractor i have found the combination of extensive remedial massage, chiropractic, exercise and education to be the most effective for tension type headaches and headaches/migraines in general. Cervicogenic Headaches; Spinal manipulative therapy and joint mobilizations is effective in the treatment of cervicogenic headaches, also deep neck flexor exercises. On a side note, it was worth noting similar to low back pain, research has found degenerative changes to the neck is just as common in non-symptomatic subjects as compared to headache sufferer’s. indicating that arthritis/spinal degenerative disorders of the neck do not cause headaches. This is another reason why routine imaging is a waste of time, money and unnecessary exposure to radiation for these types of problems. As you can see, the majority of causes of headaches and migraines is multifaceted, there are always a number of factors that need to be addressed. 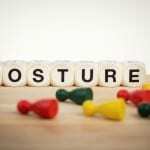 In some instance’s referral to a general practitioner is also necessary to rule out any serious issues. At Sydney Chiropractic and Remedial Massage we have extended treatment times, our Sydney chiropractor is also a qualified myotherapist (SLM) & remedial massage therapist; So you get an expert with 5 years chiropractic training specializing in spinal manipulative therapy/adjustments and exercise prescription and an expert at treating muscles in a comprehensive and thorough manner using myotherapy (SLM) and remedial massage therapy. Tension Headaches: According to the evidence based guidelines for chiropractic and tension, low load neck exercises using resistance bands is helpful in treating tension type headaches. the effectiveness of spinal manipulative therap y is is inconclusive. However there has been other studies indicating spinal manipulative therapy maybe effective (*) There seems to be higher incidence of myofascial trigger points (TrPs) which are focal area’s of adhesion’s (knots) found in the muscles & fascia of the neck and shoulder which may be the cause of tension type headaches. Personally i have found by far the most effective ‘hands on’ therapy in treating TrP’s is some form of remedial massage or nueromuscular therapy; and similar to migraines a session of 45 minute if not an hour is required to adequately manage and treat Trp’s. As a qualified remedial massage therapist and chiropractor i have found the combination of extensive remedial massage, chiropractic, exercise and education to be the most effective for tension type headaches and headaches/migraines in general. As you can see, the majority of causes of headaches and migraines is multifaceted, there are always a number of factors that need to be addressed. In some instance’s referral to a general practitioner is also necessary to rule out any serious issues that may be underlying your headaches or migraines. At Sydney Chiropractic and Remedial Massage we have extended treatment times, our Sydney chiropractor is also a qualified myotherapist (SLM) & remedial massage therapist; So you get an expert with 5 years chiropractic training specializing in spinal manipulative therapy/adjustments and exercise prescription and an expert at treating muscles in a comprehensive and thorough manner using myotherapy (SLM) and remedial massage therapy. 2) Bryans R1, Descarreaux M, Duranleau M, Marcoux H, Potter B, Ruegg R, Shaw L, Watkin R, White E. Evidence-based guidelines for the chiropractic treatment of adults with headache. J Manipulative Physiol Ther. 2011 Jun;34(5):274-89. doi: 10.1016/j.jmpt.2011. 3) Boline PD1, Kassak K, Bronfort G, Nelson C, Anderson AV. Spinal manipulation vs. amitriptyline for the treatment of chronic tension-type headaches: a randomized clinical trial. J Manipulative Physiol Ther. 1995 Mar-Apr;18(3):148-54.